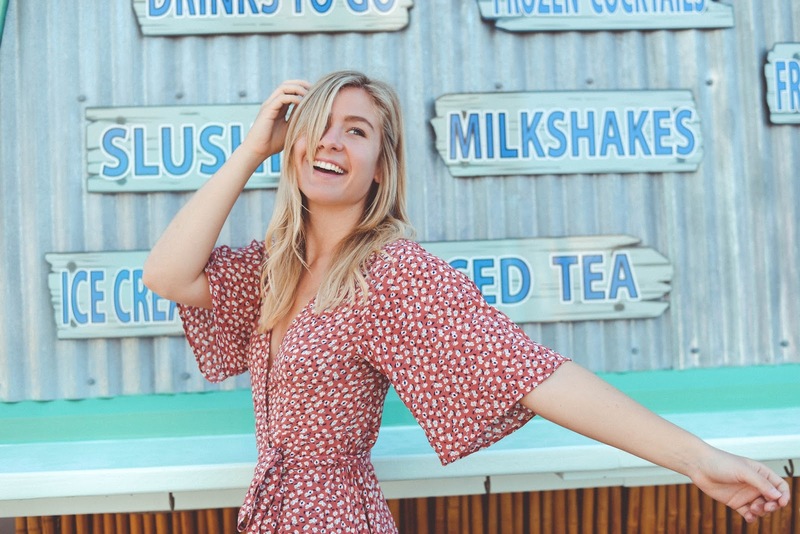 Favorite Wrap Dresses for Spring! At last! My vacation photos are going to start flooding the blog! I recently went on a trip with my boyfriend and our friends to Florida, and I'm excited to finally share all the photos! Firstly, I wanted to share this outfit I wore while checking out the pier because of the wrap dress. This type of dress is my new go to! Mostly because of the flattering fit. I feel like the definition at the waist and flowy skirt bottom does wonders for all body types! This specific one is from Charlotte Russe however, at the end of this post I will link tons of my favorite wrap dresses I recommend for spring!